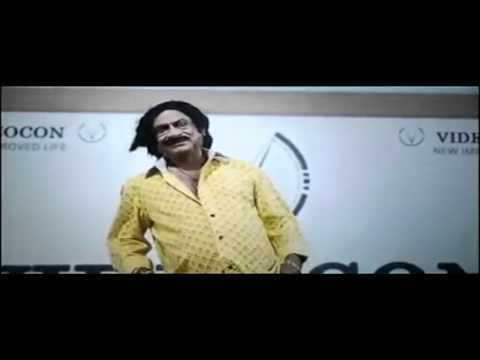 Mailavarapu Surya Narayana was a respected comedian and film actor of Telugu cinema. He was born on 16th of April 1951 in Nidamarru near Bhimavaram (West Godavari District). M.S. Narayana worked as a lecturer in KGR College as he acted in theater in the meantime. 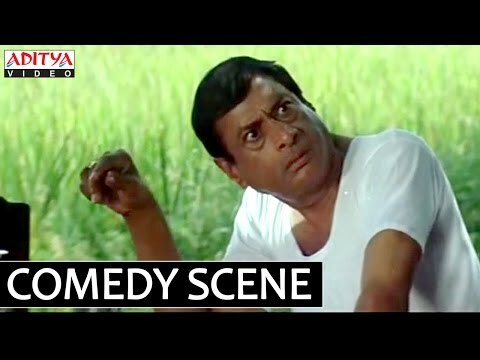 Narayana was introduced to the film industry as a writer who later conquered the funny bones of his audience when he began acting. Soon he became a popular face for his comedy timings, unmatched witty style of acting and his spoofs on stars like Mahesh Babu, Rajinikanth, Balakrishna et al. Narayana made his Tollywood debut with the movie 'Lingababu Love Story'. Though he acted in many films, it was Seenu Vytla's Dookudo which brought him stardom. Since then, he began adding several blockbusters to his success chart during which, he worked with the renowned names of the industry such as Mahesh Babu, NTR, Pawan Kalyan, Akkineni Nageshwara Rao and Allu Arjun. Some of his memorable works include Doodkudu in 2011, Manam in 2014, Badshah in 2013, Julayi and Cameraman Gangatho Rambabu in 2012 and many more. He even bagged 5 Nandi Awards as the best comedian for Sardukupodam Randi, Dookudu, Maa Nana Ki Pelli, Sivamani and Ramsakkanodu. Narayana has also penned dialogues for 8 films in Tollywood including Alexander, Koduku and Bhajantrilu. In 2011, he acted in Maharaja and Noothrenbadhu after which he decided to step into direction. His first directorial debut came with Koduku wherein his son Vikram was starred. Bhajantrilu was yet another masterpiece, directed by Narayana. With more than 750 movies to his credit, veteran actor and comedian, M.S. Narayana received great appreciation by the film fraternity and his critics for his commendable roles. He was awarded with 5 Nandi Awards for Best Male Comedian, a Filmfare South Award for Best Supporting Actor, 2 Cinegoers Awards, a CineMaa Award for Best Actor and many more. He even claimed to have broken the Brahmanandam's Guinness Record of 700 films in a span of 20 years by covering the same number in just 17 years. Narayana was diagnosed with Malaria in a hospital of Bhimavaram from where he was shifted to a corporate city hospital a couple of days before the sad news arrived. He breathed his last on 23rd January 2015 at 9:40 a.m, at the age of 63 due to multi-organ failure. His last rights were performed at his farmhouse in Vikarabad a day later. He is survived by his son Vikram and daughter Sasikiran. Ironically, his last movie 'Patas' was released on the day when he breathed his last. "MS Narayana garu will always be remembered as a very talented and versatile artist. I am deeply saddened by his demise and convey my condolences to his family." "Rip M.S Narayana Garu .. He was our fav uncle as he gave us Soo much love and happiness .. Will miss him badly :("
"RIP Ms Narayana uncle. Gone too soon. Strength to the family. Known him since I was a little girl. Nana introduced him in movies." "MS Narayana garu had the kindest face and from the little I knew of him, the kindest soul too. Irreplaceable talent. RIP sir." "Shattering..hard to accept, icon of tollywood comedy..MS Narayana garu is no more..wil always cherish the moments i got 2 spend with u sir." "MS Narayana garu was a learned man,a versatile actor and a very kind soul. Terrible loss for Telugu cinema and his millions of fans. RIP sir." "Thank You MS Narayana Garu, for putting a smile on our faces so often. You will be terribly missed. RIP Sir..."
"RIP MS Narayana Garu.. Honour to have worked with you sir.. You will b missed badly.. Strength to the family..."
"In extreme shock wd the sudden demise of MS Narayana garu. Worked wd him in two films. May his soul RIP. Strength to d family"
"RIP MS Narayana Garu... Wish I had gotten to work with him. A man who made millions smile...Hope you're in peace sir."